Every competitive gaming community, sans speed runners (mostly), is toxic. This is a fact, not an opinion. If you are part of a community and you think you have it bad, take heart. Someone, somewhere in some other community has it worse. Much worse. Between dealing with immature players, armchair activists (which, in gaming terms, equates to armchair developers), stream monsters and talking heads, every community has its guaranteed cesspool of scum that is a fountain of negativity, bereft of any critical thinking or problem solving skills. Despite the toxicity, many communities are able to stick together because of the hard work of some community members who can offer a service to the community, a good amount of level-headed individuals within the community with the ability to address internal issues and a few leaders who can positively represent the majority of those level-headed individuals. What is becoming harder and harder to do as gaming marches on is to keep older players in the community while also drawing in newer, younger players with newer game titles. With the release of each updated title in a series, there will undoubtedly be a fraction of the player base that will refuse to migrate to the newer title, whether the reason be politics, the fun factor, the price tag or sometimes even simply on principle. With each new title, a general community becomes just a little bit more fractured, even though the overall numbers may grow. The communities that see the largest splintering are those whose games change the most between iterations and the cause is simple to see: more changes puts at risk the idea of what made the previous title(s) so enjoyable. Even if the game turns out to be better, armchair developers are more than happy to write entire pages on forums anonymously about how the design decisions of professional and seasoned content creators are no match for their simple, “no muss, no fuss” solutions to “very basic problems”. Super Smash Bros.: Melee was released as a launch title for the Nintendo Gamecube in 2001. From day one up to the date of this writing, it has been the number one selling Gamecube title. I’d even wager that Melee has sold more copies after the Gamecube console was replaced with the Wii than some Wii titles. Melee will likely go down in Nintendo’s annals as one of its greatest successes, and with good reason: the game is fun at all levels of play. Whether or not you approach Melee as a fighting game (it’s not) or treat it competitively, no matter how you play it, it’s fun. Fun that stands the test of time and skill levels is truly the holy grail of multiplayer games. The best part about the game was the lack of documentation about its features during play. While this is normally not a good thing, this was twisted into a positive aspect because of the mask of the simplistic design of the Smash games; the more you played, the more you learned about the different things you could do in the game. As players delved into the game, more and more techniques were discovered (and are still woefully categorized under the misnomer of “bugs and glitches”) and the levels of play became more layered and advanced. Competitive Melee, in time, became a game where the players ended up playing against the game engine as much as the other player due to the amount of techniques needed just to move many characters (many out of the seven or so that were deemed tournament viable) around. Super Smash Bros.: Brawl was released in 2008 as one of the early titles for the Nintendo Wii. The timeline up to Brawl’s release, without question, was the beginning of what is known as the modern hype train. Brawl ended up in the top ten best-selling Wii games for the console’s history and is in the record books on its own as the fastest-selling game in Nintendo of America’s history. 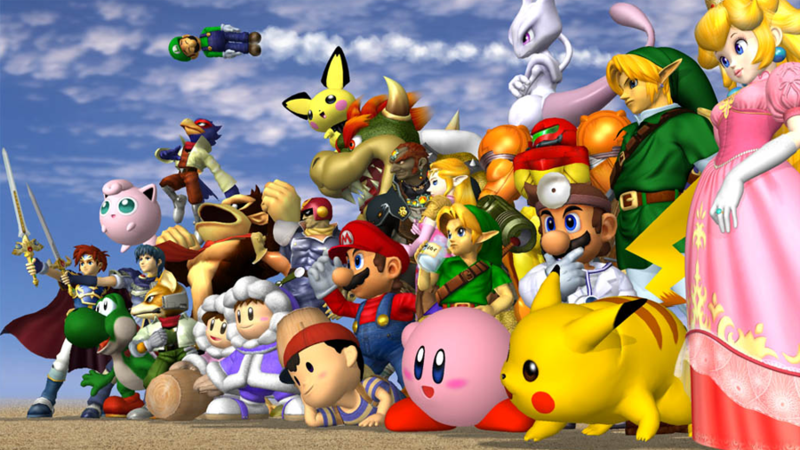 What many players expected out of Brawl was an upgraded Melee; out of the players that had this unrealistic expectation, however, were a large group that did not play Super Smash Bros. 64, the series’ first entry that had drastically different gameplay compared to Melee. That being said, most Melee players weren’t prepared for what arrived with Brawl. As to be expected, Brawl had…drastically different gameplay compared to Melee. Brawl came with extreme feature reduction and some restrictions that some players felt limited its capacity for competition. In lieu of the competitive gutting, Brawl featured a more complete gaming experience overall with a story mode, several mini-games, a stage creator and more. Despite its critical acclaim, the fallout from the competitive community was significant. Almost immediately, the Smash community was divided right in half; the old guard who almost exclusively played Melee and the new kids on the block, who disliked the status quot that Melee encouraged and genuinely liked Brawl. This split, brought on by Melee players, is why most sentences that talk about Brawl (even this very paragraph) do so by noting its relation to Melee instead of speaking about the game entirely on its own.